Turn over a dime (a Canadian 10 cent piece) and there she is... the Bluenose, a shipbuilding legend, an undefeated racing schooner, a Canadian icon. Today, you can see the Bluenose II either in her home port of Lunenburg or you might be lucky enough to witness her beauty as a tall ship dancing on the waves, much like her namesake was said to do in her glory days. Be a deckhand for a day on this replica of the original schooner and experience life sailing the ocean blue on this ambassador of Nova Scotia, which has a proud legacy that is almost tangible to feel when you are near. Designated as a UNESCO World Heritage site, Lunenburg greets its visitors with the best example of preserved wooden British colonial architecture in North America. Enjoy the vibrantly painted 18th & 19th century homes, restaurants, stores, museums, and galleries that brightly light up the town like a brand new box of crayons. Whether you prefer to stroll the waterfront wharves or golf the links, wander the art galleries, antique shops & boutiques or explore the Fisheries Museum of the Atlantic, take in a performance at the Lunenburg Academy of Music Performance or enjoy a romantic horse-drawn carriage ride, set off for a self-guided walking tour, go whale watching or fishing, sail the ocean blue or kayak, hike or bike the coastline; there's no shortage of things to see & do. However, if you just want to sit back, have a drink & enjoy the view, there's that too. And when you're ready for a bite, there is more delicious seafood to eat here than you can possibly name (just like Bubba in Forrest Gump) and they have it all here from fish & chips to mussels to seafood chowder (my personal favourite) to lobster dinners (and yes I could go on and on and Bubba won't be disappointed as they have shrimp too). So, stay awhile... eat, drink, explore, and enjoy it all. 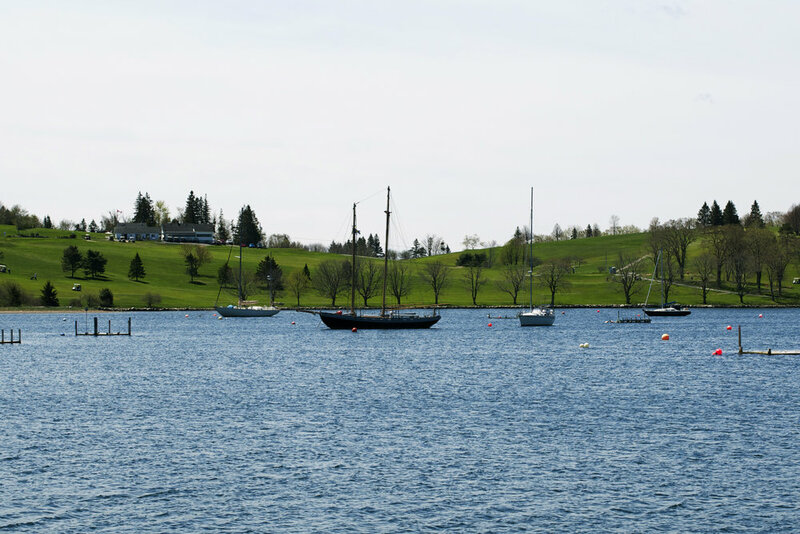 Lunenburg is just as lovely as it sounds.